EGF and gastrin co-administration reverses type 1 diabetes in rodent models. However, the failure of this to translate into a clinical treatment suggests that EGF-mediated tissue repair is a complicated process and warrants further investigation. Thus, we aimed to determine whether EGF receptor (EGFR) feedback inhibition by mitogen-inducible gene 6 protein (MIG6) limits the effectiveness of EGF therapy and promotes type 1 diabetes development. We treated Mig6 (also known as Errfi1) haploinsufficient mice (Mig6 +/−) and their wild-type littermates (Mig6 +/+) with multiple low doses of streptozotocin (STZ), and monitored diabetes development via glucose homeostasis tests and histological analyses. We also investigated MIG6-mediated cytokine-induced desensitisation of EGFR signalling and the DNA damage repair response in 832/13 INS-1 beta cells. Whereas STZ-treated Mig6 +/+ mice became diabetic, STZ-treated Mig6 +/− mice remained glucose tolerant. In addition, STZ-treated Mig6 +/− mice exhibited preserved circulating insulin levels following a glucose challenge. As insulin sensitivity was similar between Mig6 +/− and Mig6 +/+ mice, the preserved glucose tolerance in STZ-treated Mig6 +/− mice probably results from preserved beta cell function. This is supported by elevated Pdx1 and Irs2 mRNA levels in islets isolated from STZ-treated Mig6 +/− mice. Conversely, MIG6 overexpression in isolated islets compromises glucose-stimulated insulin secretion. Studies in 832/13 cells suggested that cytokine-induced MIG6 hinders EGFR activation and inhibits DNA damage repair. STZ-treated Mig6 +/− mice also have increased beta cell mass recovery. Reducing Mig6 expression promotes beta cell repair and abates the development of experimental diabetes, suggesting that MIG6 may be a novel therapeutic target for preserving beta cells. The online version of this article (doi: 10.1007/s00125-014-3311-z) contains peer-reviewed but unedited supplementary material, which is available to authorised users. An erratum to this article can be found at http://dx.doi.org/10.1007/s00125-014-3357-y. Type 1 diabetes is a progressive disease characterised by the autoimmune-mediated destruction of insulin-secreting pancreatic beta cells . To prevent or cure type 1 diabetes, research efforts, particularly clinical trials, have largely focused on understanding and modulating immunological responses. Unfortunately, immunomodulatory therapies have not proven to have long-term efficacy . Therefore, cellular therapies promoting the recovery and survival of beta cells could provide efficacious alternative treatments for type 1 diabetes [3, 4]. The clinical phenomenon of the ‘honeymoon phase’ (i.e. the remission period that often occurs in newly diagnosed type 1 diabetes patients after initiation of insulin therapy) suggests that human beta cells have a finite potential to recover from assaults [5, 6]. This notion is supported by several rodent model studies [7, 8, 9]. In addition, beta cell recovery and survival capacity may be enhanced in vivo by introducing trophic factors. For example, EGF and gastrin cotreatment has been shown to prevent or reverse diabetes development in various rodent models. However, translating this therapy to human diabetes is limited because of our inadequate understanding of the molecular mechanism of EGF’s glucose-lowering function. In the current study, we aimed to investigate whether EGF receptor (EGFR) signalling in beta cells is compromised by endogenous EGFR feedback inhibition, and whether such inhibition modulates functional beta cell mass recovery in a model of beta cell destruction. As an initiator of diverse intracellular programmes, the EGFR signalling cascade is fine-tuned by multiple feedback regulators, including mitogen-inducible gene 6 protein (MIG6). Following EGFR activation by ligand binding and dimerisation, MIG6 is rapidly induced to: (1) suppress EGFR kinase activity; and (2) facilitate EGFR endocytosis and degradation [10, 11, 12, 13]. Interestingly, MIG6 expression is also induced by (patho)physiological stress stimuli, suggesting that MIG6 possibly integrates stress responses and growth factor signalling to maintain tissue homeostasis [14, 15, 16]. In response to chronic stress, however, sustained MIG6 upregulation could have pathological consequences. In fact, we have shown that glucocorticoids and endoplasmic reticulum stress upregulate MIG6 in pancreatic beta cells, leading to cell cycle arrest and apoptosis, respectively [17, 18]. Thus, MIG6 may promote a reduction in beta cell mass by antagonising EGFR signalling. As beta cell fate dictates progression to diabetes, it is essential to determine whether stress-inducible MIG6 promotes beta cell dysfunction and destruction by attenuating EGFR signalling. In the present study, we investigated the extent to which Mig6 haploinsufficiency, and hence heightened EGFR signalling protects mice against diabetes development. To this end, we treated wild-type and Mig6 heterozygous knockout mice with multiple low-dose streptozotocin (MLD-STZ) to induce beta cell death and an immune response that mimics human type 1 diabetes. We then performed metabolic assessments and morphological analyses. We also used rat islets and 832/13 INS-1-derived beta cells to investigate the MIG6-mediated molecular signalling events associated with beta cell dysfunction and destruction in the type 1 diabetes milieu. All animals were maintained and used according to protocols approved by the Indiana University School of Medicine Institutional Animal Care and Use Committee. C57Bl/6J mice lacking one Mig6 allele (Mig6 +/−) were obtained from G. Vande Woude (Van Andel Research Institute, Grand Rapids, MI, USA), bred with wild-type C57Bl/6J mice (Mig6 +/+), and genotyped as previously described . An Extract-N-Amp Tissue PCR kit (Sigma-Aldrich, St Louis, MO, USA) was used for genotyping. Mice were maintained in a standard light–dark cycle and provided with free access to water and a standard rodent chow diet. Ten-week-old male mice of both genotypes were intraperitoneally injected with STZ (35 mg/kg body weight; Sigma-Aldrich) for five consecutive days. A group of control animals was injected in the same manner with vehicle (saline). For glucose tolerance testing (GTT), 1.5 g/kg body weight d-glucose (Sigma-Aldrich) was intraperitoneally injected into 5 h-fasted control or STZ-treated mice. Blood was sampled from a tail vein at the indicated time points, and blood glucose was measured using an AlphaTRAK glucometer (Abbott Laboratories, Abbott Park, IL, USA). Serum insulin was assayed using an ultrasensitive mouse insulin ELISA kit (Crystal Chem, Downers Grove, IL, USA). For insulin tolerance testing (ITT), 0.75 U/kg body weight recombinant insulin (Eli Lilly, Indianapolis, IN) was intraperitoneally injected into 5 h-fasted untreated and STZ-treated mice. Blood glucose was determined at the indicated time points. Immunostaining of pancreatic sections was performed as previously described . Insulitis scoring was performed by grading islets as follows: 0, no infiltration; 1, mild peri-insular mononuclear infiltration; 2, moderate (25–50%) infiltration; and 3, massive (>50%) infiltration . Antibodies are listed in electronic supplementary material (ESM) Table 1. Cadaveric human islets were obtained from Beta-Pro LLC (Charlottesville, VA, USA), the National Disease Research Interchange (Philadelphia, PA, USA), or the Integrated Islet Distribution Program (Duarte, CA, USA). Islets from four healthy donors were treated with a proinflammatory cytokine cocktail (50 U/ml IL-1β, 1,000 U/ml TNF-α, and 1,000 U/ml IFN-γ (Prospec, East Brunswick, NJ) for 24 h in DMEM containing 5.5 mmol/l glucose. Mouse and rat pancreatic islets were isolated and cultured as previously described . Immediately after isolation, rat islets were transduced with adenoviral vectors expressing MIG6 or green fluorescent protein (GFP) under the control of the cytomegalovirus (CMV) promoter. Glucose-stimulated insulin secretion (GSIS) assays were performed 48 h post-transduction, as previously described . Insulin content of the buffer was determined using an insulin RIA (Coat-A-Count Insulin RIA, Siemens Medical Solutions, Malvern, PA, USA), and data were normalised to total islet protein concentration. Groups of 50 islets from Mig6 +/+ or Mig6 +/− mice were cultured for 24 h in 100 μl RPMI with or without the cytokine cocktail. Nitrate and nitrite concentrations in cell supernatants were then assayed as an index of nitric oxide (NO) using the Griess assay (Promega, Madison, WI, USA) according to the manufacturer’s protocol . INS-1-derived 832/13 rat insulinoma cells were cultured as previously described . A starvation medium (RPMI 1640 containing 2.5 mmol/l glucose and 0.1% BSA) was used for EGF stimulation experiments. Gene overexpression and knockdown were performed as previously described . For cytokine plus EGF stimulation experiments, 832/13 cells were pretreated with cytokines for 16 h, starved for 2 h and treated with 10 ng/ml rat recombinant EGF (R&D Systems, Minneapolis, MN, USA) for 5 min. For apoptosis experiments, 832/13 cells were treated with 1 μmol/l doxorubicin (Adriamycin) or camptothecin (CA; BioVision, Mountain View, CA, USA) for 6 h.
Immunoblot analysis was performed as previously described . Phosphorylated protein levels were normalised to total protein levels, and total (i.e. nonphosphorylated) protein levels were normalised to tubulin or GAPDH protein levels. Antibodies are listed in ESM Table 2. RNA from 832/13 cells, and mouse, rat, and human islets was isolated using RNeasy Mini or Micro kits (Qiagen, Valencia, CA, USA). Reverse transcription was performed using a High Capacity cDNA Reverse Transcription kit (Applied Biosystems, Foster City, CA, USA). Threshold cycle methodology was used to calculate the relative quantities of Mig6, Pdx-1, Ins1/2, Irs2 (TaqMan assays, Applied Biosystems), and proinsulin (Ins2; SYBR Green methodology, Life Technologies, Grand Island, NY, USA) mRNA. Primer sequences were described previously . PCR reactions were performed in triplicate for each sample from at least three independent experiments and normalised to Gapdh or Actb mRNA levels. All data are presented as means ± SEM. Protein and mRNA data were normalised to control conditions and presented as relative expression. The Student’s t test, Pearson correlation or ANOVA (with Bonferroni post hoc tests) were performed using GraphPad Prism software (La Jolla, CA, USA) to detect statistical differences. p < 0.05 was considered statistically significant. Originally characterised as an immediate-early response gene , Mig6 is induced by various growth factors and cellular stress stimuli to regulate tissue homeostasis . We sought to determine whether Mig6 is also induced by type 1 diabetes-associated pathological stimuli, hence mediating diabetes progression. As proinflammatory cytokines are major contributors to beta cell dysfunction and death in type 1 diabetes, we treated isolated human islets and rat 832/13 INS-1-derived beta cells with a cytokine cocktail containing IL-1β, TNF-α and IFN-γ. We observed Mig6 mRNA induction in both human islets and 832/13 cells (Fig. 1). Interestingly, Mig6 and Ins mRNA expression are inversely correlated in human islets, suggesting that MIG6 might control beta cell homeostasis and function. To identify the cellular and molecular mechanisms controlled by MIG6 during diabetes development, we exposed 832/13 cells to proinflammatory cytokines to induce a condition that mimics the islet inflammation present in developing type 1 diabetes. As shown in Fig. 2, we discovered that chronic cytokine treatment inhibits EGFR phosphorylation and activation. As MIG6 is a bona fide EGFR inhibitor and Mig6 expression is induced by proinflammatory cytokines, we speculated that the cytokine-induced MIG6 is responsible for EGFR inactivation. Indeed, small interfering RNA (siRNA)-mediated MIG6 knockdown overcomes the cytokine-induced attenuation of EGFR and extracellular signal-regulated kinase 1 and 2 (ERK1/2) activation. To investigate the pathophysiological roles of MIG6 during type 1 diabetes development, we challenged Mig6 +/− and Mig6 +/+ mice with MLD-STZ. MLD-STZ administration is known to induce hyperglycaemia by: (1) direct DNA-damaging effects in beta cells; and (2) an indirect inflammatory effect that promotes islet dysfunction and death . Hence, we employed MLD-STZ treatment as an experimental model to mimic beta cell destruction in human type 1 diabetes. Heterozygous rather than homozygous Mig6 knockout mice were used because: (1) homozygous knockouts are reported to have a higher embryonic lethality rate , and are not viable in our facility; and (2) under normal conditions, heterozygous mice exhibit physiological and metabolic features similar to those of wild-type mice and exhibit comparable islet architecture . In the current study, we treated 10-week-old Mig6 +/− and Mig6 +/+ mice with MLD-STZ, and performed metabolic and histological analyses on various days after STZ treatments (Fig. 3). Whereas STZ-treated Mig6 +/+ (hereafter referred to as STZ-Mig6 +/+) mice developed profound glucose intolerance, STZ-Mig6 +/− mice remained glucose tolerant compared with saline-treated control mice at the same time point (Fig. 4). Additionally, STZ-Mig6 +/+ exhibited fasting hyperglycaemia, in contrast to STZ-Mig6 +/− mice (12.40 ± 0.86 mmol/l vs 10.21 ± 0.57 mmol/l; p < 0.05). Concurrently, STZ-Mig6 +/− mice had higher serum insulin concentrations following a glucose injection (Fig. 5). As both untreated and STZ-treated Mig6 +/− and Mig6 +/+ mice have comparable insulin tolerance, the preserved glucose tolerance in STZ-Mig6 +/− mice probably results from preserved beta cell function. In fact, pancreatic islets from STZ-Mig6 +/− mice have higher Pdx1 and IRS2 mRNA expression levels compared to islets from STZ-Mig6 +/+ mice. Taken together, these data suggest that MIG6 is required for the destructive events leading to glucose intolerance and loss of islet beta cell integrity following STZ treatment. Our findings suggest that MIG6 participates in beta cell destruction and/or dysfunction in this rodent diabetes model. To further examine the role of MIG6 in beta cell (dys)function, we treated rat islets with an adenoviral Mig6 expression vector and demonstrated that elevated MIG6 significantly reduces GSIS (Fig. 6). Additionally, because ERK signalling has been implicated in beta cell integrity and function, and MIG6 suppressed EGFR signalling (including ERK phosphorylation), we investigated whether MIG6 suppresses the downstream effectors of ERK. Elevated MIG6 expression indeed reduced ERK target gene (i.e. Pdx1 and Ins1) expression in 832/13 cells. Collectively, our findings suggest that cytokine-induced MIG6 abrogates EGFR and ERK signalling cascades in beta cells, and that elevated MIG6 compromises beta cell function. As mentioned previously, MLD-STZ treatment promotes both glucose intolerance and hyperglycaemia and mimics human type 1 diabetes through promoting islet inflammation. To determine whether MIG6 regulates islet inflammation, we examined the degree of immune cell infiltration in STZ-Mig6 +/− and Mig6 +/+ mice. Mig6 +/− and Mig6 +/+ mice showed comparable, low insulitis scores (Fig. 7). Furthermore, islets from Mig6 +/− and Mig6 +/+ mice exhibited similar cytokine responsiveness, with both producing similar amounts of NO. Taken together, these data suggest that although MIG6 probably does not modulate immunity in this model, it is crucial for controlling beta cell function and integrity during a diabetogenic assault. To determine whether MIG6 regulates beta cell regeneration following MLD-STZ treatment, we examined the histomorphology of isolated Mig6 +/− and Mig6 +/+ mouse pancreases. Whereas Mig6 +/+ exhibited a sustained reduction in insulin-positive cross-sectional area, beta cell mass recovered by 21 days post-STZ in Mig6 +/− mice to a level comparable with saline-treated mice (Fig. 8). To identify whether the observed regeneration occurred through beta cell replication, we performed pH3 staining to evaluate the mitotic rate. Interestingly, STZ-Mig6 +/− and STZ-Mig6 +/+ mice had almost identical beta cell replication rates, suggesting that another factor(s) contributes to Mig6 haploinsufficiency-enhanced beta cell mass recovery. We speculated that the enhanced recovery of beta cells observed in STZ-Mig6 +/− mice results from elevated beta cell survival through enhanced repair and recovery mechanisms. We therefore analysed these events in 832/13 cells. First, we observed that diabetogenic factors such as proinflammatory cytokines (Fig. 9) and reactive oxygen species (data not shown) induce beta cell DNA damage and repair, as indicated by the p53 Ser-15 phosphorylation and accumulation. Next, we examined whether a reduction in MIG6 would increase EGFR signalling and promote beta cell survival. Importantly, siRNA-mediated MIG6 suppression in 832/13 cells elevated CA-induced p53 protein expression and partially protected beta cells from DNA damage-induced apoptosis, as measured by caspase 3 cleavage. There is currently much interest in the antidiabetogenic effects of EGFR signalling , and we are specifically interested in MIG6 inhibition of stress-inducible EGFR feedback. In the current study, we employed Mig6 haploinsufficient mice to examine the role of MIG6 in experimental diabetes progression. We treated Mig6 +/− and Mig6 +/+ mice with MLD-STZ to induce diabetes. We observed that Mig6 +/− mice are resistant to developing STZ-induced diabetes: postprandial glycaemia, glucose tolerance and serum insulin levels following a glucose load are preserved. Insulin sensitivity (both before and after STZ treatment) is comparable between Mig6 +/− and Mig6 +/+ mice, suggesting that improved glucose homeostasis in STZ-Mig6 +/− mice results from preserved beta cell function. Nevertheless, we recognise that systemic Mig6 haploinsufficiency might alter immunity, angiogenesis or nutrient utilisation in other tissues. However, we established that MIG6 modulates beta cell function and integrity in vivo and in vitro. Whereas half of the beta cells in Mig6 +/− and Mig6 +/+ mice were ablated by STZ treatment, the remaining islets from Mig6 +/− mice had higher Pdx1 and IRS2 mRNA levels. In contrast, elevated MIG6 expression causes beta cell dysfunction in isolated rat islets. As MIG6 has been shown to inhibit ERK1/2 activation in beta cells , we examined whether other beta cell genes are transcriptionally regulated by ERK1/2 in the context of MIG6 overexpression. We found that Pdx1 and Ins1/2 mRNA levels are reduced in 832/13 INS-1 cells with elevated Mig6 expression. Additionally, proinflammatory cytokine-induced Mig6 mRNA expression inversely correlates with Ins2 mRNA levels in isolated human islets. Therefore, MIG6 may compromise beta cell function in human type 1 diabetes patients. We utilised 832/13 cells to study the effect of MIG6 overexpression on EGFR signalling in a type 1 diabetes proinflammatory cytokine milieu. We established, for the first time, that proinflammatory cytokines impair EGFR signalling. Excitingly, siRNA-mediated suppression of MIG6 partially restores the cytokine-mediated attenuation of EGFR activity. Because proinflammatory cytokines promote NO production and cause beta cell damage , it will be interesting to determine whether NO mediates beta cell EGFR inactivation, as reported in other cell types [30, 31]. In addition, it remains to be determined whether cytokine-induced NO participates in the induction of EGFR inhibitor such as MIG6. Nevertheless, our discovery brings a new level of complexity to the mechanism of traditional growth factor-based glucose-lowering therapies. We suggest that under pathological conditions, intracellular and extracellular stress directly inactivates mitogenic signalling pathways via stress-inducible negative regulators. Our data suggest that cellular stress might interfere with the glucose-lowering or regenerative effect of growth factor therapies. Excitingly, Wang et al recently proposed a similar hypothesis . They reported that combinatorial therapy comprising anti-CD3/CD8 immunotherapy (to eradicate inflammatory assaults) and gastrin plus EGF (to augment beta cell regeneration) reverses late-stage diabetes in NOD mice. Previous reports suggested that EGF plus gastrin cotreatment increases beta cell mass by promoting beta cell proliferation , transdifferentiation [33, 34, 35] and neogenesis . In the current study, we used Mig6 +/− mice as an alternative model to examine the mechanism of EGF-regulated beta cell regeneration. We showed that STZ-Mig6 +/− mice had improved beta cell mass recovery 20 days after STZ treatment. However, cell replication is probably not the mechanism responsible for increased beta cell mass because both genotypes exhibited similar STZ-stimulated beta cell proliferation rates. Given this, we infer that recovery of the insulin-positive area is attributed to other sources such as transdifferentiation or the restoration of insulin positivity (i.e. beta cell recovery) . However, we do not consider duct-to-beta cell transdifferentiation to be the main contributor to the increased beta cell mass in STZ-Mig6 +/− mice because CK19/Ins-positive cells are rare at the time points used for our histological studies (data not shown). As an alternative to these mechanisms, we examined whether Mig6 haploinsufficiency facilitates beta cell survival because: (1) newly generated beta cells are more susceptible to cell death ; (2) we and others have demonstrated that MIG6 promotes apoptosis [18, 37]; and (3) EGFR promotes DNA damage repair and facilitates survival in various cell types . We revealed that proinflammatory cytokines induce DNA damage in 832/13 cells, as indicated by the elevated levels of phosphorylated and total p53 protein. In addition, we showed that siRNA-mediated MIG6 suppression partially protects beta cells from DNA damage-induced apoptosis mediated by p53. However, we cannot rule out the possibility that MIG6 promotes beta cell death through EGFR-independent mechanisms, as suggested by Hopkins et al . Further, EGFR facilitates cell survival through various molecular actions, such as promoting phosphoinositide 3-kinase (PI3K)/Akt- and Ras/ERK-mediated transcription of DNA repair genes [39, 40], and activating nuclear proteins involved in damage repair [41, 42]. Thus, future investigations should aim to elucidate the signalling pathways through which MIG6 regulates EGFR activity and cell survival. Taken together, we demonstrated that while MIG6 deficiency does not enhance STZ-stimulated beta cell proliferation, it probably allows beta cells to mount a more robust damage-repair response, leading to their improved recovery and insulin positivity. Our discovery highlights the largely overlooked beta cell repair mechanisms as potential therapeutic targets in diabetes . Indeed, accumulated cadaveric studies reported that even long-term type 1 diabetes patients have minimal levels of C-peptide and preserved beta cells (albeit degranulated and scattered as small clusters) [43, 44, 45], and that human islets are capable of recovering from damage [6, 9, 46]. These findings suggest that beta cells in type 1 diabetes patients can be repaired if provided with the proper stimulation. 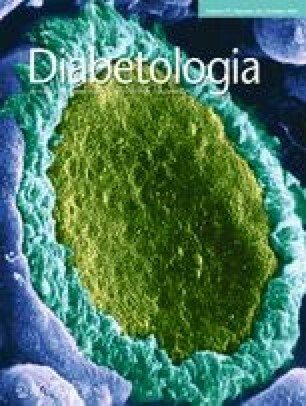 We suggest that targeted MIG6 inhibition could be a good treatment option for type 1 diabetes because MIG6 compromises beta cell functional integrity and facilitates beta cell death. To explore this idea further, future studies will examine the role of MIG6 in diabetes development in the NOD mouse, which is a better model of human type 1 diabetes. In summary, our data demonstrated that cytokine-induced MIG6 negatively controls EGFR signalling, compromises beta cell function and identity, and inhibits beta cell recovery in a chemically induced diabetes model. This study indicates that using growth factors alone as antidiabetogenic therapies could be ineffective because pathological stimuli can directly turn off mitogenic signalling pathways via negative regulators such as MIG6. Further, we propose that targeting the beta cell recovery machinery represents a promising therapeutic strategy to prevent or reverse type 1 diabetes progression. We thank G. Vande Woude (Van Andel Research Institute, Grand Rapids, MI, USA) for the Mig6 +/− mice, D. Xu and J. Kyriakis (Tufts Medical Center, Boston, MA, USA) for the CMV-MIG6 adenovirus, N. Stull and K. Benninger (Indiana University School of Medicine, Indiananapolis, IN, USA) for assistance with islet isolation, A. Hernandez and A. Lutkewitte (Indiana University School of Medicine) for assistance with animal husbandry, T. Kono and C. Evans-Molina (Indiana University School of Medicine) for providing human islet samples, and R. Mirmira (Indiana University School of Medicine) for critical discussions. This work was supported by grants from the National Institutes of Health (DK078732 and DK099311), the Showalter Research Trust at Indiana University School of Medicine, and the Indiana Lions Diabetes Awareness program (all to PTF). YCC was the recipient of a DeVault Fellowship from Indiana University School of Medicine. YCC conceived the experimental design, acquired, analysed, and interpreted the data, and wrote the manuscript. ESC acquired, analysed and interpreted the data. KEG acquired and analysed the data. BFM conceived the experimental design and interpreted the data. PTF conceived the experimental design, analysed and interpreted the data, wrote the manuscript, and is the guarantor of the work. All authors reviewed the manuscript and gave final approval of the version to be published.